Customer Picture Number 24 Selected. Cool Car decals applied. 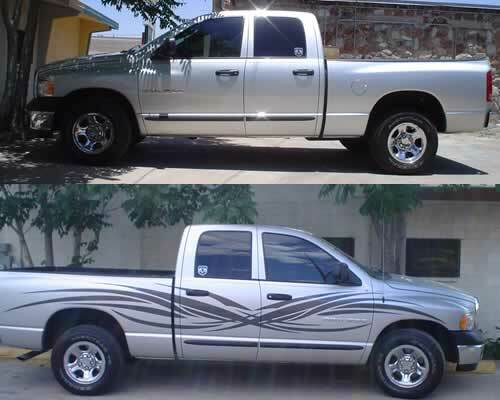 A Little Before and After of this new dodge truck. He used Charcoal Flake vinyl.